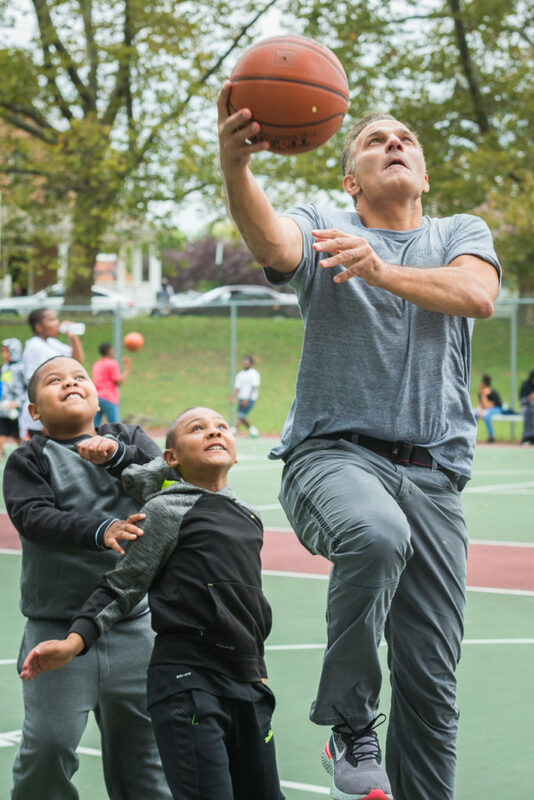 WILMINGTON, DE– BPG|SPORTS, management organization of the 76ers Fieldhouse presented Shoot for the Stars, a complimentary basketball clinic for the inner-city youth of Wilmington, DE on Saturday, October 6th from 11 AM-1 PM at Prices Run Park. The clinic provided a small sampling of the offerings and events that will be occurring at the new 76ers Fieldhouse once completed. 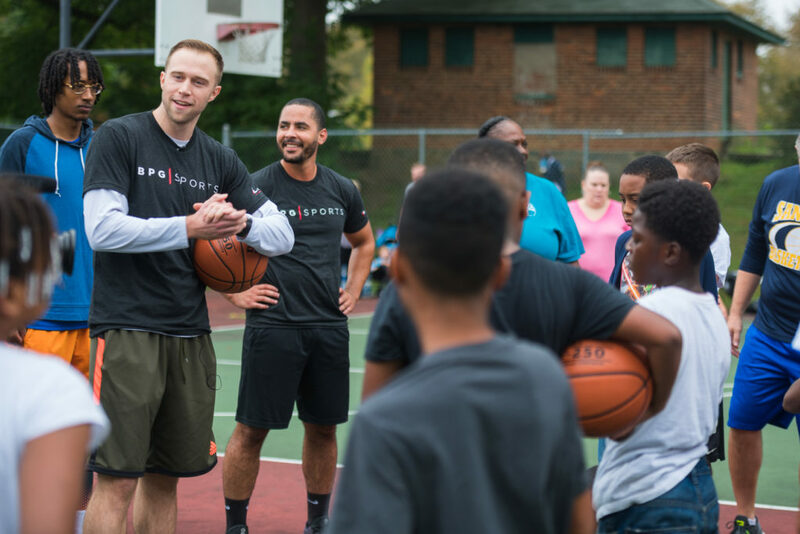 Boys and girls ages 6-12 had the opportunity to learn basketball and life skills from Syracuse Alum and Two-time State Champion Trevor Cooney, Director of Courts of the 76ers Fieldhouse. Research proves an introduction to sports at a young age has life-long positive effects and helps to build healthy communities. However, household income is the biggest driver of early participation of children. 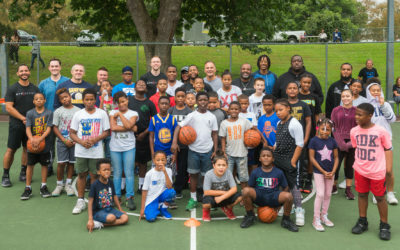 The BPG|SPORTS team hopes to change that here in the City of Wilmington by offering complimentary clinics and resources within the 76ers Fieldhouse. 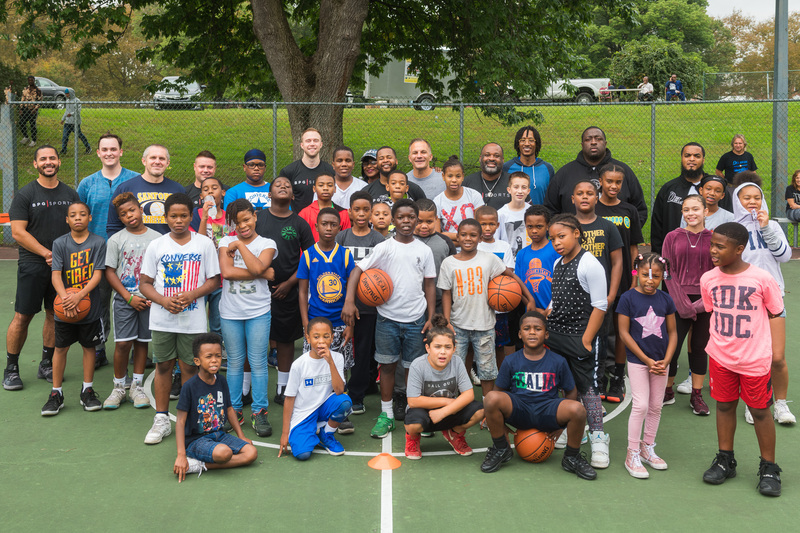 The Delaware Blue Coats and Wilmington Parks and Recreation provided support for the clinic and the City of Wilmington generously provided lunch for the participants. BPG|SPORTS is a dynamic sports management and investment company. Our team, in collaboration with The Buccini/Pollin Group, provides a comprehensive set of resources to provide best in class sports experiences. We have industry-leading expertise in operations, facility management, marketing and finance, as well as construction and development. At BPG|SPORTS, our mission is clear: We help build communities, promote health and encourage sportsmanship through our world-class sports facilities. BPG|SPORTS has a proven track record. From our development efforts for the Philadelphia Union’s Talen Energy Stadium to our ownership and management of the 76ers Fieldhouse, BPG|SPORTS implements innovative programming and sets the standard in the sports industry. For more information please visit us at bpgroup.net or call us at 610-996-0425.